A police inspector and a retired pastor were yesterday gunned down by unidentified men. The inspector, identified as Babangida Danbaba, who is attached to the Bauchi State Government House, was said to have been trailed by his assailants just after observing his morning prayers in a mosque along Nasarawa road. Residents of the area confirmed the sound of gunshots but could not ascertain who the target of the attack was. The Bauchi State commissioner of police, Mohammed Ladan confirmed the incident saying no arrest has been made regarding the case. He disclosed that his men are still investigating the crime. 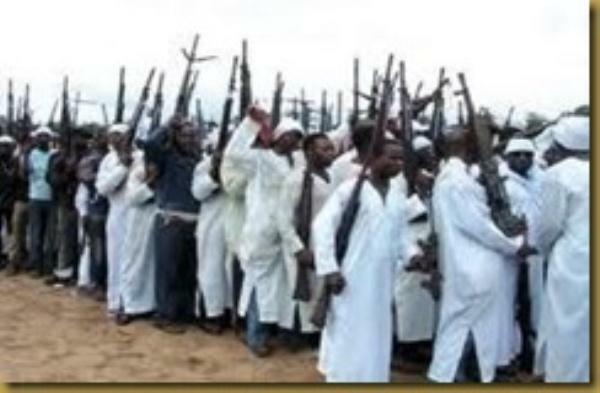 According to reports, also killed on Sunday in Maiduguri, the Borno State capital, was a retired pastor of COCIN Church, Rev. Ilaisha Kabura. He was said to have been shot by gunmen in the presence of his family while preparing to go to church. An eyewitness said he saw the two gunmen in front of the Reverend’s family house before they fired several shots at him and fled without being arrested. He said that when he saw the gunmen, he thought they were visitors of the reverend, until he started hearing gun shots some minutes later. They will never see or know peace,and these stinking Terrorists will also Die by the Bullet. !